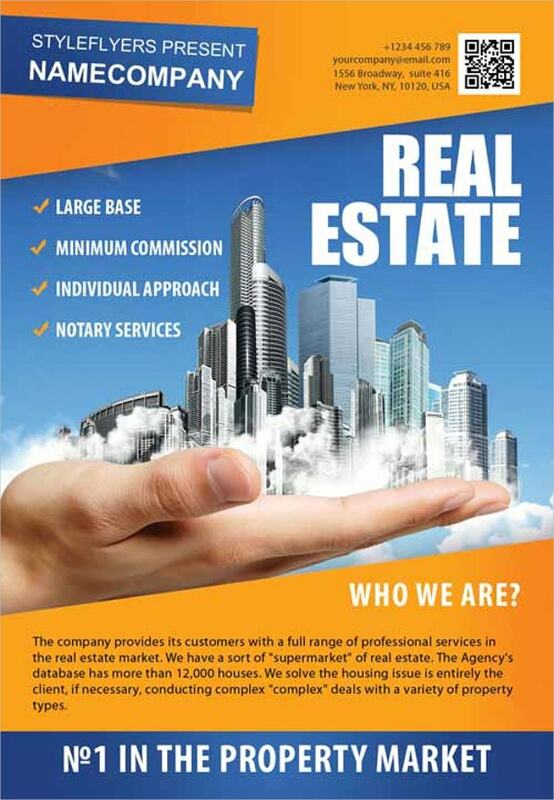 Real Estate is a major flourishing sector of the global economy. 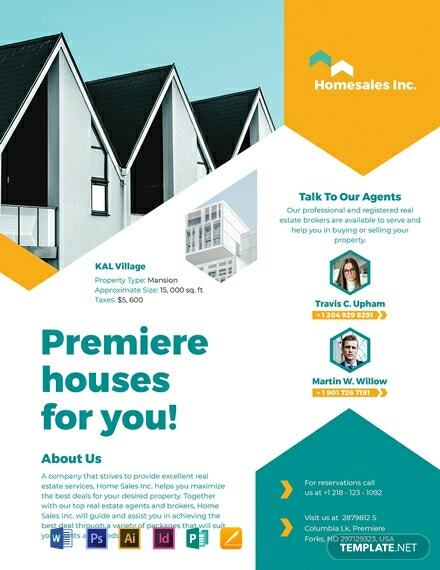 If you are not selling any properties, you must be a buyer. 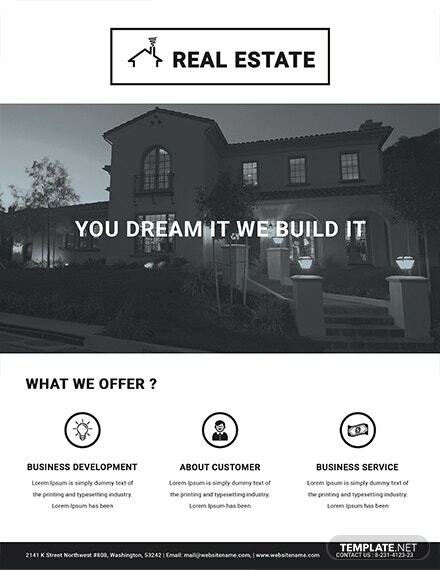 Everybody is involved in this business. 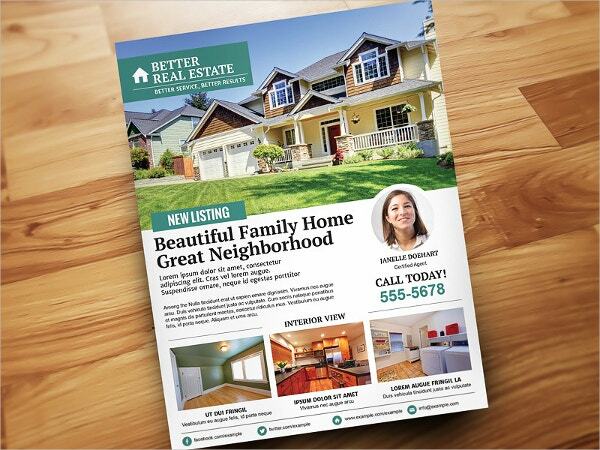 Realtors, agencies and property owners must cherish using Real estate PSD Flyer Templates. 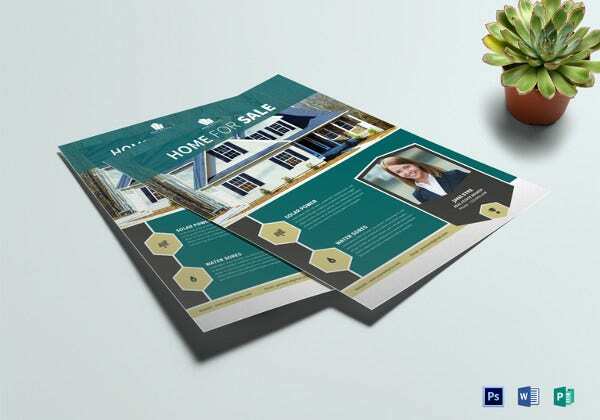 The vintage Real Estate Flyer is an editable AI & PSD file without images. 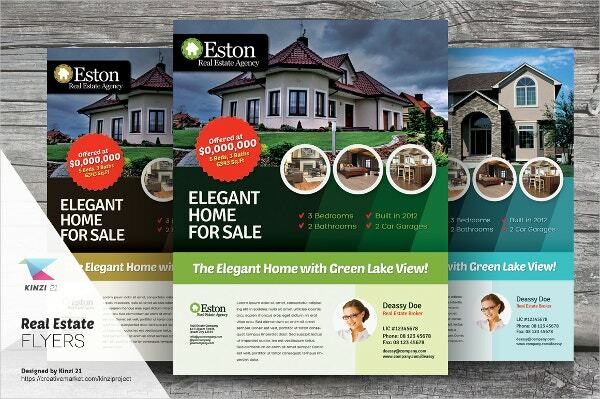 The layered document is easy and fast to use with free fonts, links, Adobe AI CS4 and Photoshop. 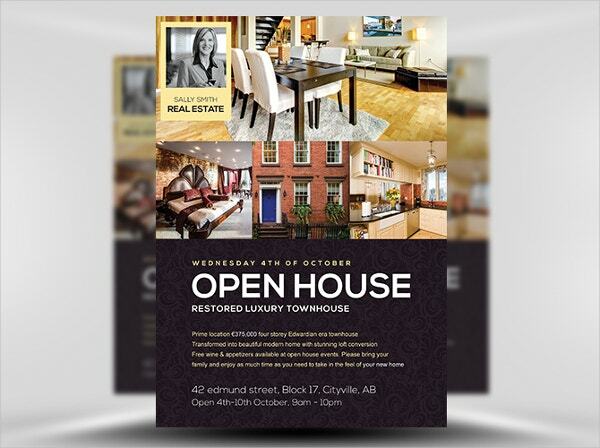 Real estate flyer is among the fully editable and customizable Open House Flyer Templates. It contains layers and 3mm bleeds in its CMYK colors, 300 dpi and smart replaceable images. 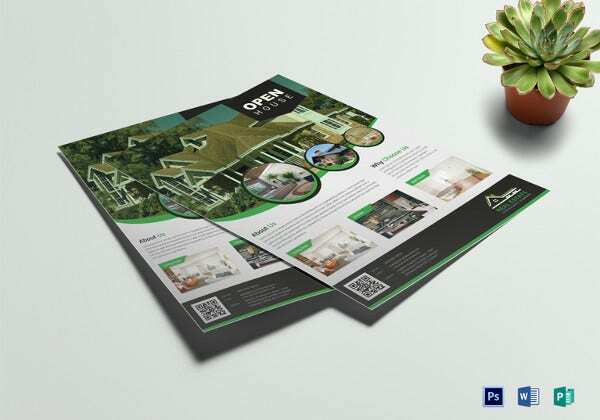 These Open House Flyer Templates for agents and realtors is print ready. 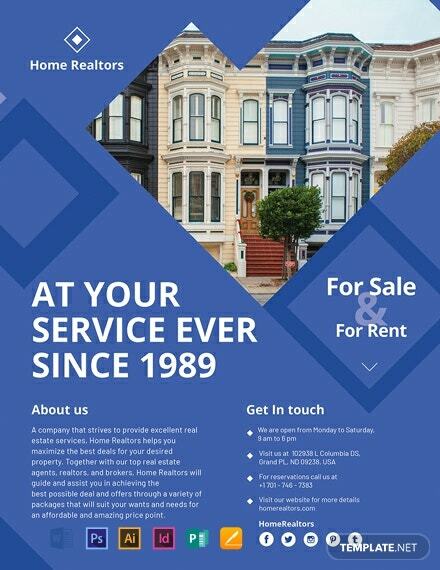 Once purchased, you can add your contact details, logo and address. 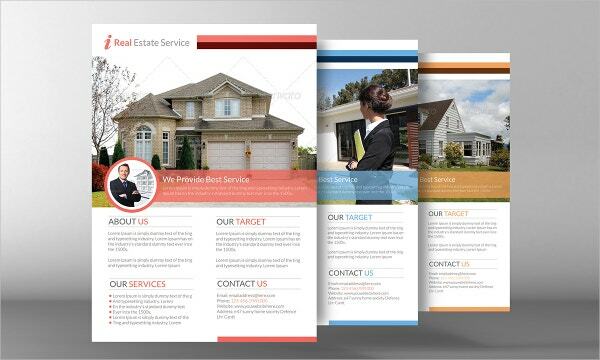 Colors and texts are fully editable and customizable. 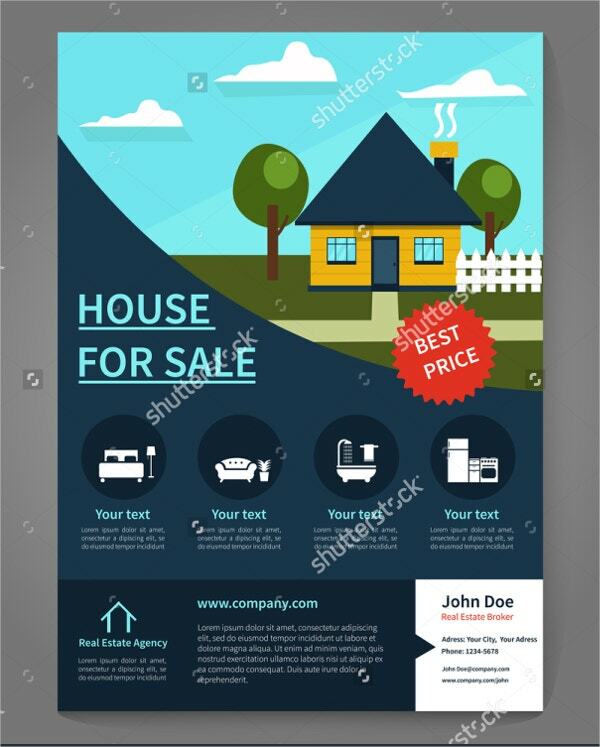 The agent real estate flyer template is a vector illustration with a design for posters and Open House Flyer Templates. 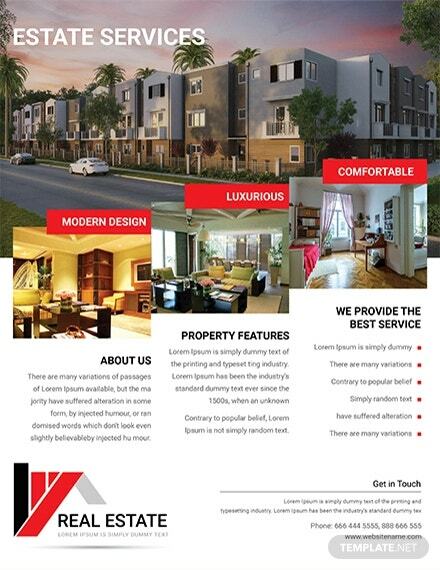 It is availed in high resolution and many sizes for different projects. 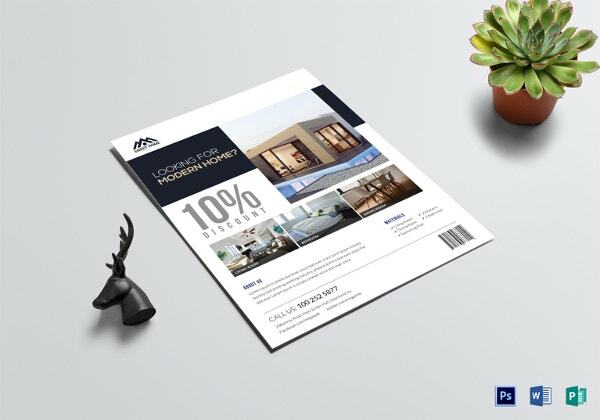 The simple elegant real estate flyer is an A4 sized PSD file with smart objects. 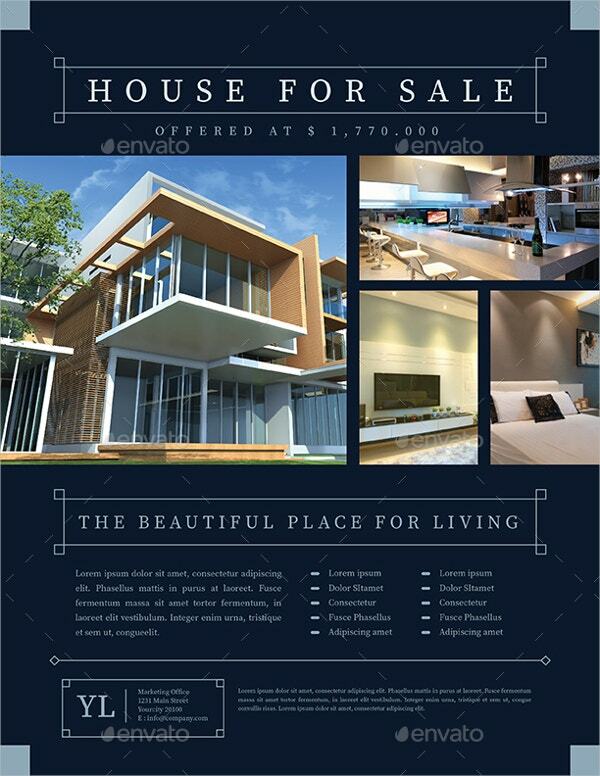 It contains customizable colors and texts. 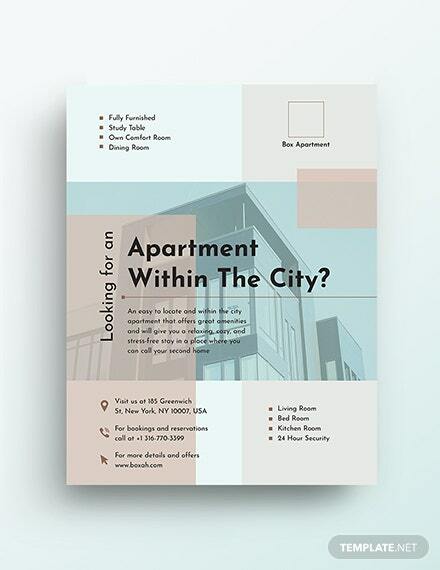 It features bleeds, 300 dpi, two distinct designs and CMYK color mode. 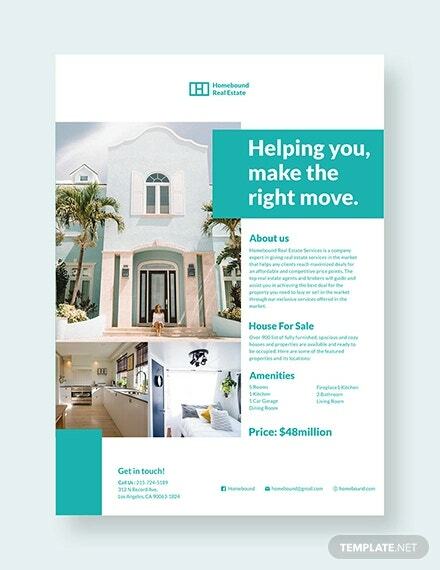 This real estate flyer template in CMYK color mode, 300 dpi and 0.25 bleeds on both sides is layered. 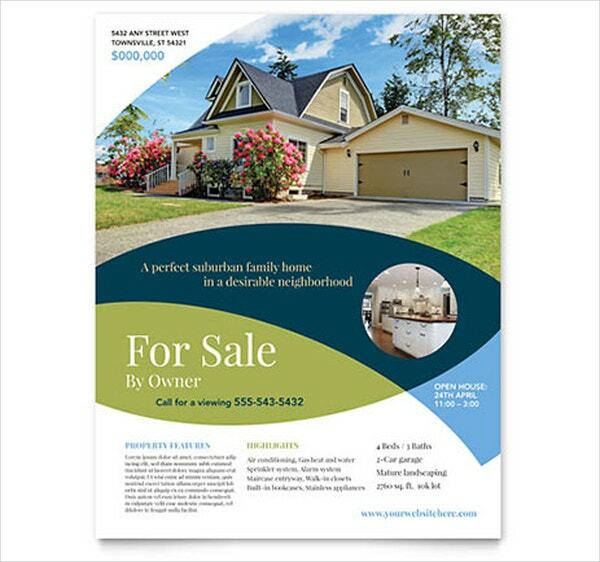 The vector Open House Flyer Templates require adobe CS3+ to edit its PSD and Al files. 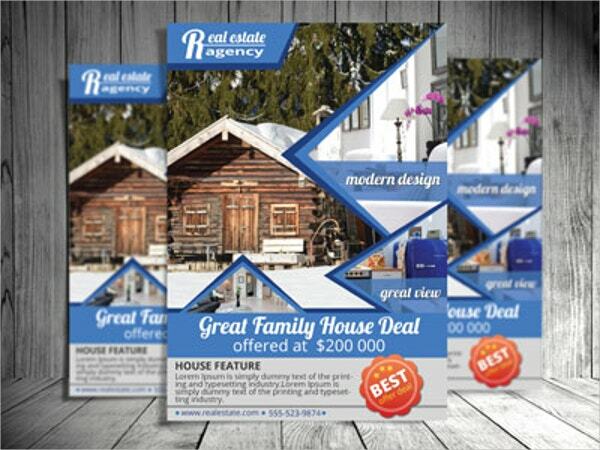 This rustic real estate flyer template impeccably advertises family homes for sale. 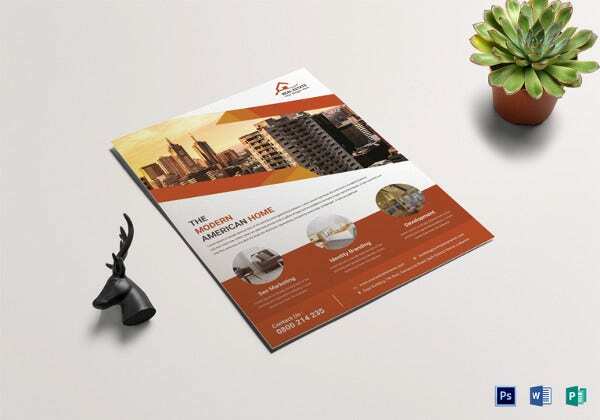 The PSD poster template uses CS4+. 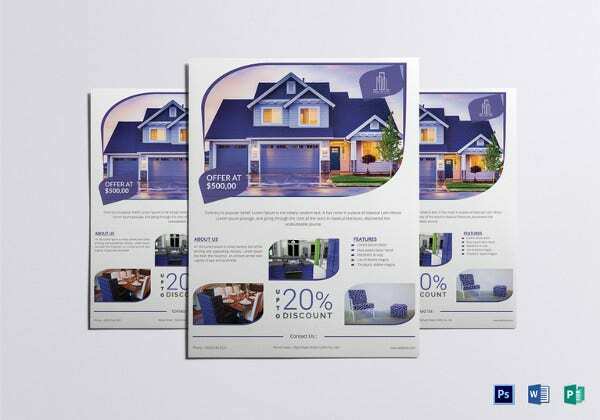 It is organized in layers with editable elements in its print-ready CMYK colors. 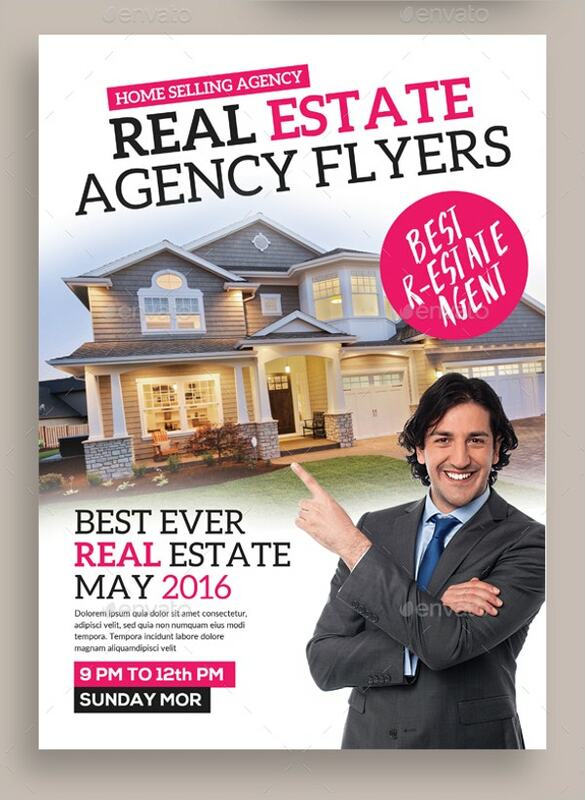 Broker real estate flyer is one of the many Open House Flyer Templates for sale. 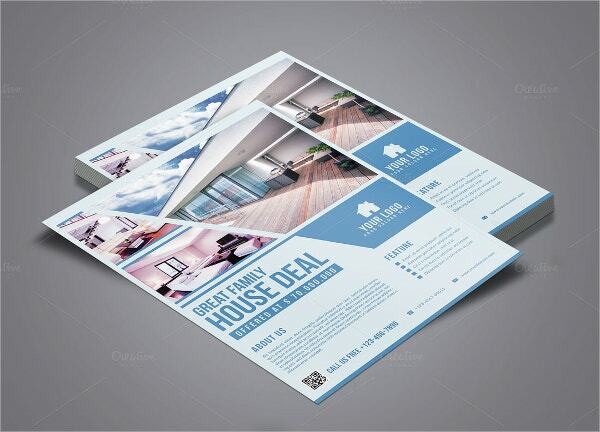 It contains vector images, texts and illustrations. 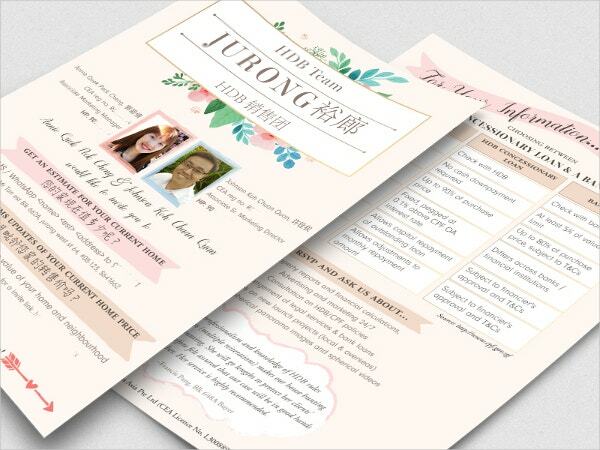 You can print, share and customize this file with your photos and fonts. 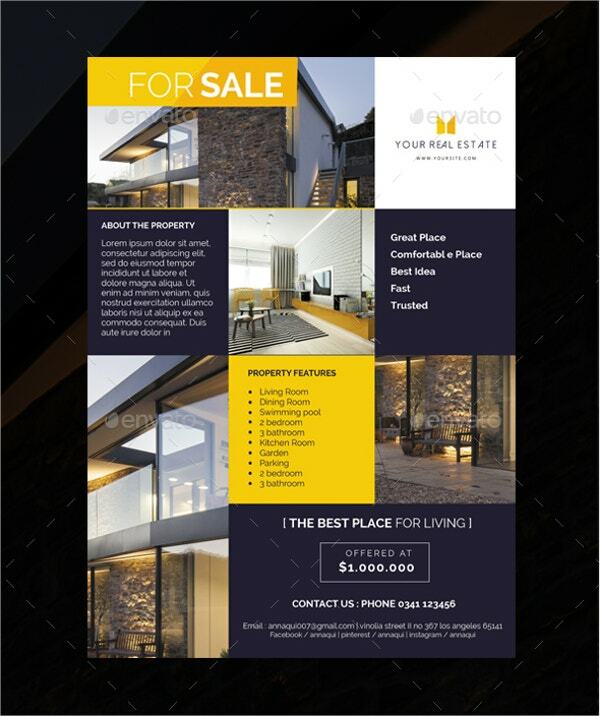 Elegant real estate flyer template is availed in three different color schemes. 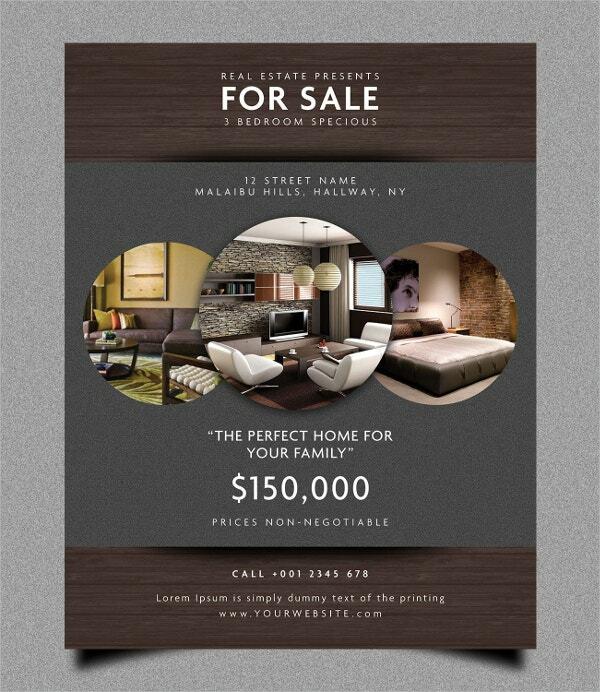 It features .25 inches bleed region, CMYK, 300 dpi resolutions and instruction file. You can replace its smart objects and layers. 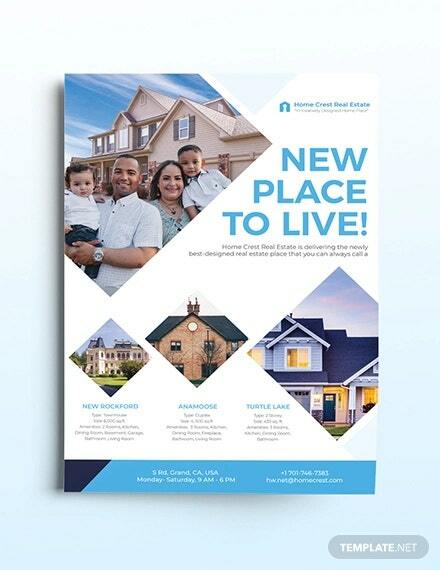 The real estate promotion flyer PSD template features 3 CMYK color mode and 300 dpi resolutions in its 210 by 297 px size. 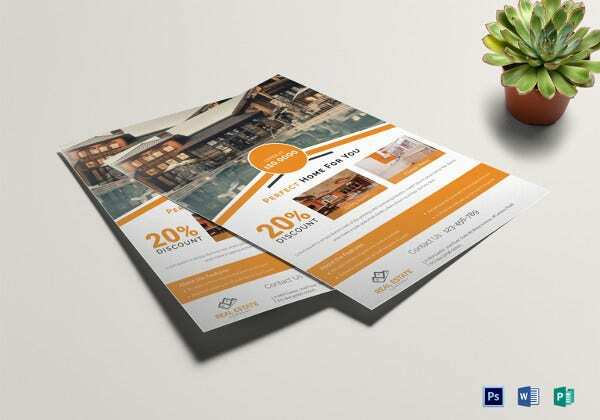 It contains free fonts, editable layers, texts and smart objects for replacement. 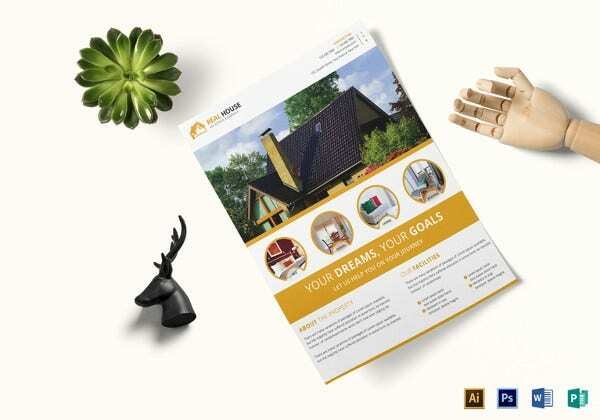 This 210 by 297 px premium real estate flyer template is a layered vector file featuring 300 dpi resolutions, CMYK color mode and 0.25 mm bleeds on each side requiring adobe CS4+. 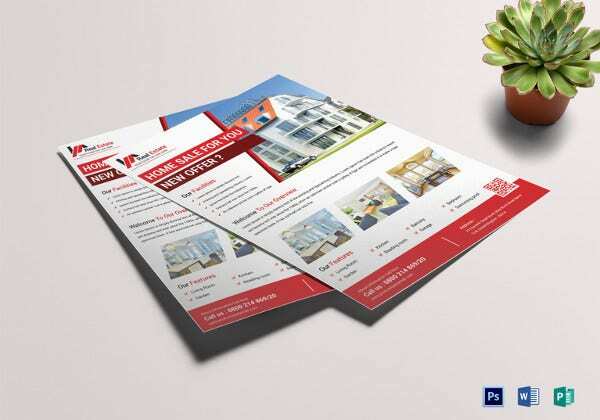 This A5 real estate flyer template bears the concept of wedding invitation which makes it appealing to recipients. 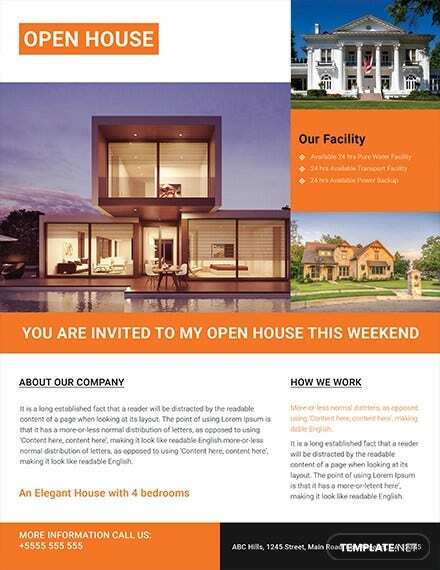 The Open House Flyer Templates contains editable texts, colors and vector illustrations. 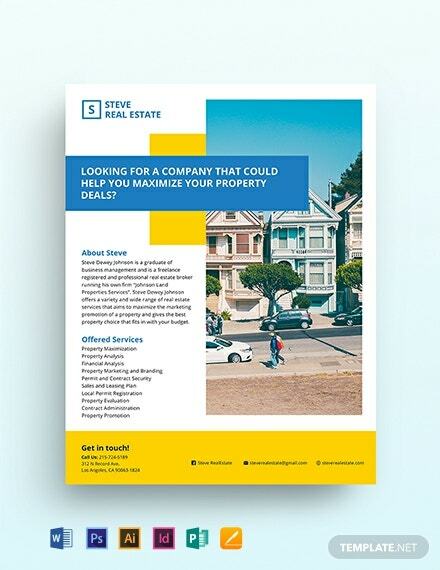 This real estate services flyer template is colorful, classic and bold with minimal design. 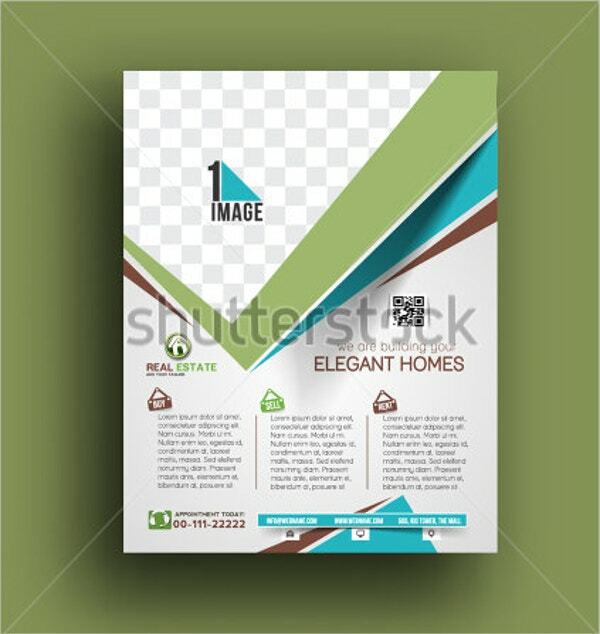 It features a single color scheme for ample customization. 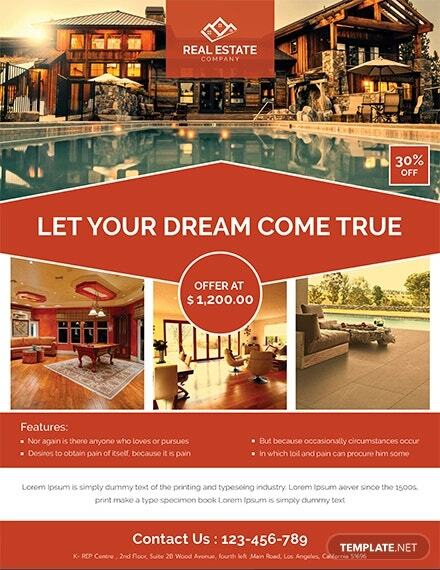 It has texts areas, quotation headlines, checklist and photographs. 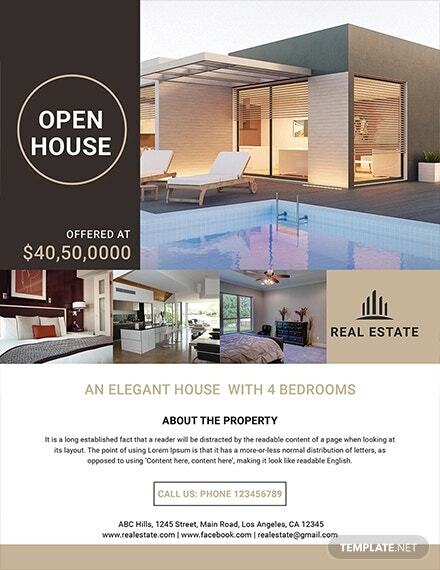 This is a minimal Open House Flyer Template. 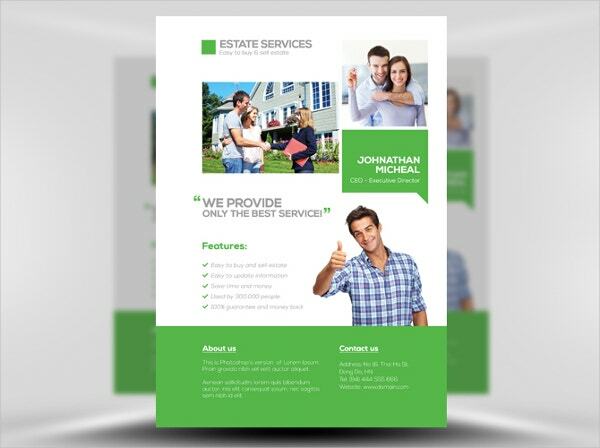 It features bold colors, space for photos, editable texts and contacts. 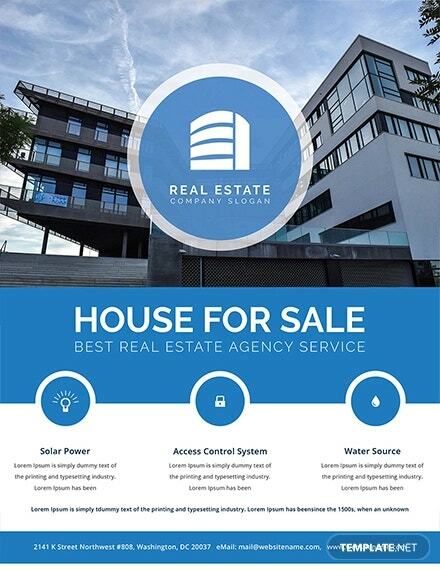 It serves property owners and realtors perfectly. 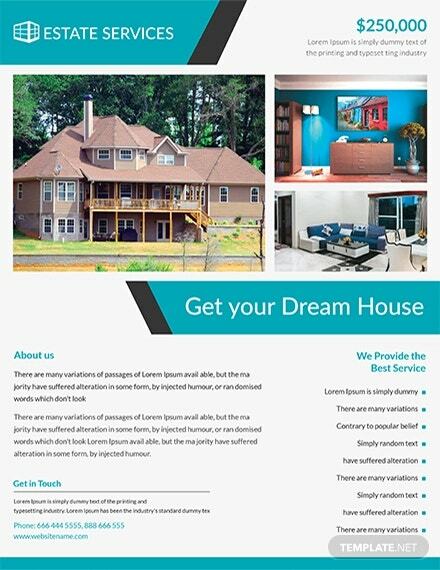 In conclusion, when looking to sell off properties, you do not need to struggle to create a template. 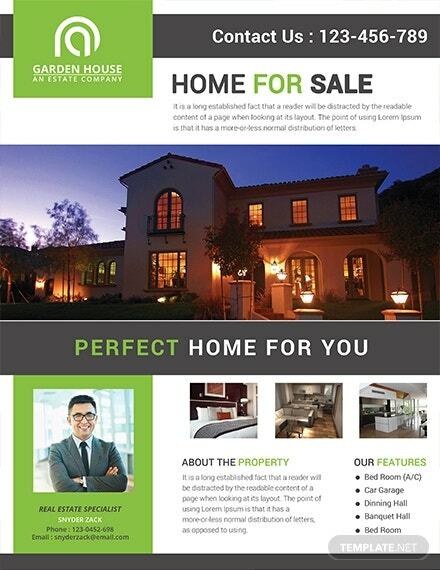 This is due to the availability of real estate brochures online. Some of them are free for download while others are there for purchase. 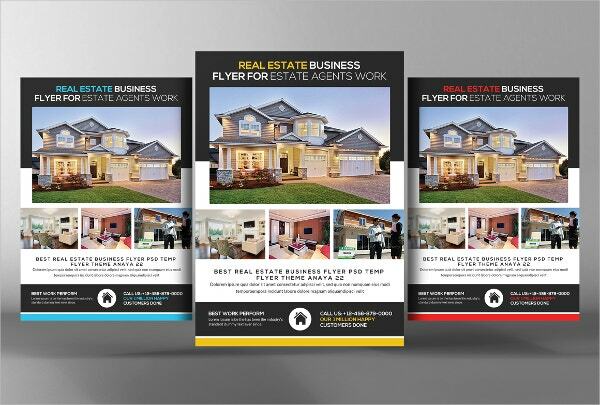 Either way, they contain crucial elements of functional real estate flyers.